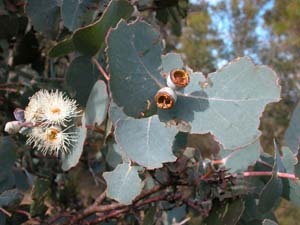 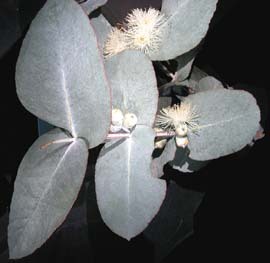 Eucalyptus cordata is a rare species found only in south-eastern Tasmania. 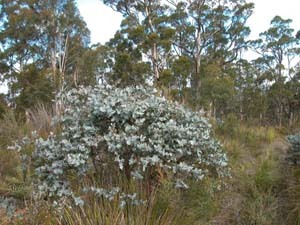 It retains its juvenile leaves for a long time, and most plants never gain adult foliage. 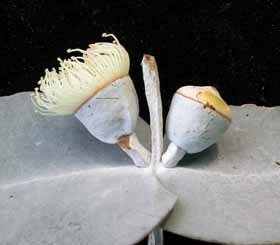 The leaves are glaucous and heart shaped. 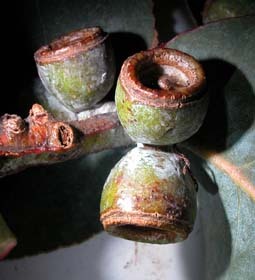 There are two varieties - the eastern with round branchlets, and the western with square branchlets.